Factory trained and authorized for ABB as a DSP (warranty repair and start up certified) for the ACS550 and 800 series VFDs and the DCS800 DC drives. Factory trained for the various low voltage Toshiba AC drives providing warranty, repair and start up. 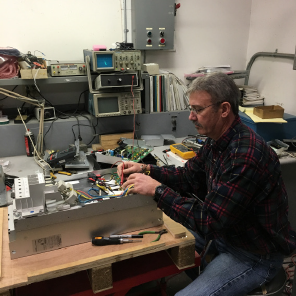 ESSCO has the expertise and staff to assist our customers with any industrial control problem from troubleshooting, repairing and complete retrofit by our systems integration group. Give us a call for any of your plant automation needs.